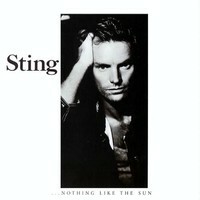 Sting is an English musician, singer-songwriter, multi-instrumentalist, activist, actor and philanthropist. He is best known as the principal songwriter, lead singer, and bassist for the new wave rock band The Police and for his subsequent solo career. He is a Commander of the Order of the British Empire; This award was granted by Queen Elizabeth II. In 2006, Paste magazine ranked him 62nd on their list of the "100 Best Living Songwriters". He was ranked 63rd on VH1's "100 Greatest Artists of Rock", and 80th on Q magazine's "100 Greatest Musical Stars of 20th Century". Sting has also collaborated with other musicians, including the duet "Rise & Fall" with Craig David and the number one hit "All for Love", with Bryan Adams and Rod Stewart.